Our two-way XML interface with Preno allows you to manage your guests, reservations, and inventory via your property management system whilst managing rates and restrictions in STAAH. Through STAAH’s API (Application Programming Interface), inventory data is brought directly into your STAAH Channel Manager and distributed to all your channels in real-time. Preno is an elegant property management system for all sorts of lodgings, designed to make running accommodation simple and rewarding. 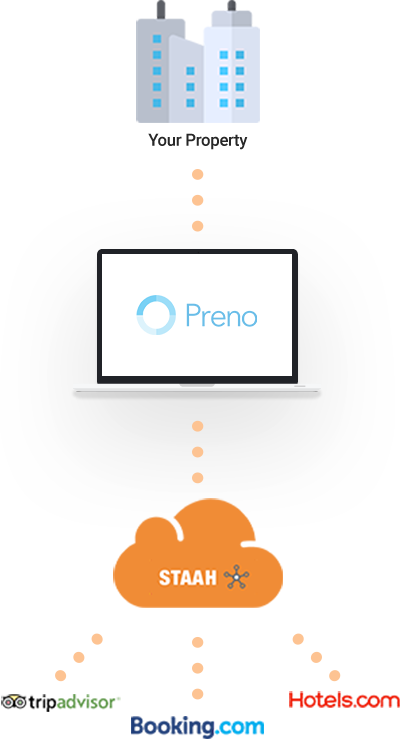 Preno is built on the cloud, and its integration with Xero simplifies your admin work dramatically. Preno aims to make your workday seamless, from booking management to accounting, so you can focus on providing the best guest experiences. It’s a front desk assistant for smart operators.